Hewlett-Packard said on Thursday that it would sell a new line of networking switches that are manufactured by a Taiwanese company and depend on Linux-based, open-source software from another company. HP, once at the center of high-tech manufacturing, will not make the new networking equipment but will act as a reseller, providing both online ordering and worldwide support for the product. 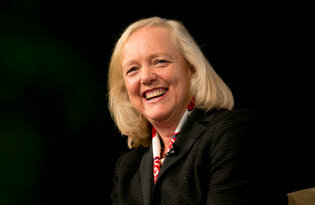 It is the most consequential announcement from HP since its chief executive, Meg Whitman, announced last October that the company would split into two separate enterprises. One will be focused on business, and the other on consumer-type products. The networking move, firmly in the area of business technology, shows the type of changes HP and other older tech giants must make to survive in a transforming marketplace. In its last fiscal year, HP took in $2.6 billion from its proprietary networking business, which started in earnest in 2009. In the long term, cheap, open-source networking equipment could threaten HP’s existing business, particularly if the open-source products make expected gains in power and capability. HP is not the only networking equipment maker threatened by the changing marketplace. Cisco Systems is still by far the biggest maker of networking gear, with $47 billion in annual revenue, and it depends heavily on proprietary products. Networking gear has been considered an important part of HP’s future, however. “We see a shift,” said Mark Carroll, the chief technology officer of HP’s networking business. “The traditional market, the one-vendor market, is transitioning to many suppliers.” By offering an open-source product consisting largely of mass-market chips, the thinking runs, HP will be in a position to dislodge Cisco. Mr. Carroll called HP’s embrace of open source “an evolution” of his company’s strategy. “You look at which markets are growing and go there,” he said. Sold complex and proprietary combinations of servers, data storage, networking and software for decades, customers are now demanding systems that can be arranged in different ways, with open-source software they can tinker with in-house. The new methods promise advantages in speed, cost and innovation. In addition, new entrants are affecting the business. Companies now rely on Amazon’s computing-rental business for many needs. Facebook last week announced an open-source switch intended to undermine prices and speed innovation in the industry. Mr. Carroll said HP “absolutely” sees Facebook’s switch “playing in the same space” as HP’s open-source networking. The actual manufacturer of the HP boxes, Accton Technology, has been making gear for HP for 20 years. The open-source software will be supplied by Cumulus Networks, which last year announced it would supply Dell with software for inexpensive networking boxes. The Cumulus relationship with HP is not exclusive, and HP could add more suppliers in the future. The initial target customers for the product, available in March, are telecommunications and financial companies. Both use a lot of cloud computing, mobility, social media and big-data resources in their data centers. “Every large tech company is going through this: We built a great business in the old world. Now how can we use that money to be relevant in the new one?” said Jeremy Burton, president for products and marketing of EMC, the world’s largest maker of data storage equipment. Last April, HP announced a joint venture with Foxconn, another Taiwanese contract manufacturer, to produce low-cost computer servers for cloud computing. IBM, unhappy with the profit margins in low-end servers, sold its business to Lenovo of China. Dell has become a privately held company in order to refashion itself for a business technology world full of cloud computing and open-source software. EMC has purchased a number of software, networking and computing businesses, Mr. Burton noted, and is in the process of giving away more software that used to bring in proprietary revenue, hoping to sell companies other products based on the free stuff.